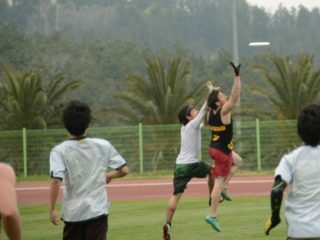 With fall semester over, teams are now looking ahead to the spring half of college ultimate. Before the second half of the season starts, let’s take a look at how the Women’s Southeast Region turned out this fall, and what to expect in 2013. 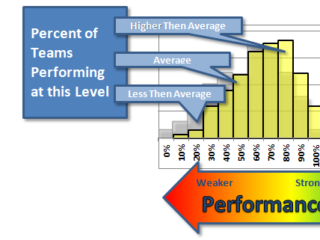 The best predictor of spring performance comes from the CCC results. With 20 teams from 4 different regions, including 5 from last season’s College Championships, CCC gave us a first look at both the emerging teams and top teams in the country. I also reviewed the results of the early fall Itchfest tournament, which included 6 teams in the SE region that did not attend CCC. First, for an idea on what the entire region looks like, I have placed each team into 3 tiers. Tier 1: Georgia, Florida State, Central Florida, Florida. Tier 2: Emory, Tulane, South Florida, Georgia Tech, Tennessee-Chattanooga, and Alabama. 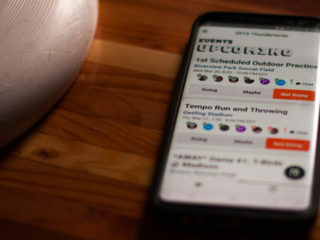 Tier 3: Tennessee-Knoxville, Auburn, Georgia State, Vanderbilt, Georgia College and State, and Mississippi. The region’s obvious frontrunner is UGA’s Dawgma. With two tournament titles (Itchfest and CCC), wins against Georgia Tech, Florida State, Central Florida, and out-of-region competitors North Carolina, UNCW, and Texas, it will be no surprise that they go into tournaments this spring with a target on their back. Hannah Leathers has become Dawgma’s main handler, and Lane Seidor is able to play any role the team needs on a given point. Together, along with the rest of their deep roster, both players have translated their efforts into dominant results. Other teams that I got to see play at CCC include Emory, South Florida, and Florida. Florida has solid returners, including Jackie Fane, Jenna Dahl, Michelle Kraslow, Morgan Hartmann, and Monica Hurst. They had 2 close 1-point losses to UCF and Michigan, and bigger losses to UVA and UNCW. Their wins included a close 13-11 win against Georgia Tech and two others against Emory and USF. They have the players and the system necessary to be successful this season, but they need to find their driving force and motivation the region is used to witnessing in order to have the edge against other top teams. Of all the second tier teams, Emory has the most potential to break into the top tier this season. With respectable losses to Michigan, UCF, and Florida, and solid wins against the rest of the competition, Emory has the ability to make a run late into the Series. Experienced club players Abbey Hewitt and Meg Harris lead the team with their cutting abilities and speed. 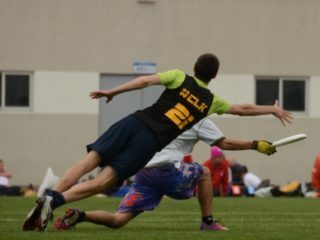 Harris, who, originally played for Florida Fuel but is now completing grad school at Emory, competed with club mixed team Southern Revival this past season. During the club season, she first stood out as a game-changer: a defensive-line cutter that is great in the air and has huge layouts. 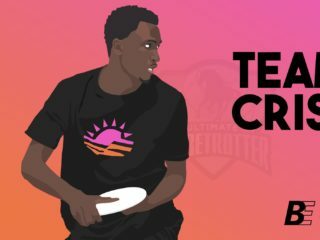 These players along with their new coach Keith Raynor, a knowledgeable, long-time ultimate player, have set their sights on making waves in the Southeast. From what I have seen so far, I am excited to watch more Southeast teams become cutthroat match-ups against other teams outside of the region. The Southeast typically get only one bid each year to Nationals, so the Series will be exciting especially for teams in the top 2 tiers who have a higher chance of causing upsets and playing close games. I look forward to the abundance of spring tournaments and seeing how the Southeast region plays into the rest of the college scene.